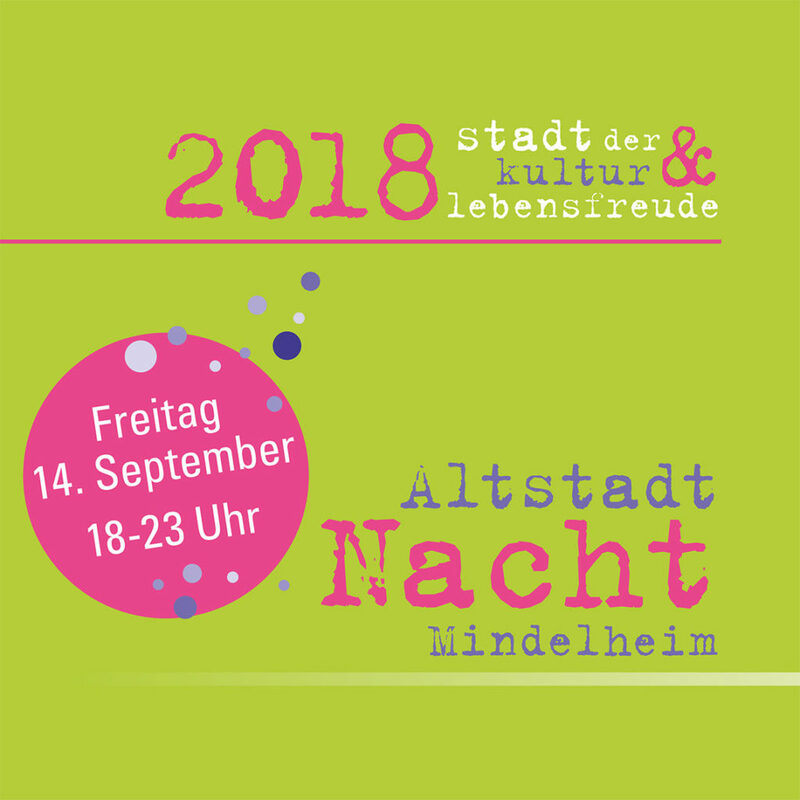 Old Town Night Mindelheim – 2018 City of Culture & Zest for Life. Friday, 14 September 18-23 pm. Welcome to the 17th Old Town Night in Mindelheim – City of Culture & Zest for Life!The program is once again colorful and diversified this year: from ventriloquists to magicians, live painting and live sculpting, multimedia shows and film screenings, folk music parade and folk music, lama and alpaca, gipsy jazz and renaissance music, acrobatics & Feuerspuken, Literature, Clown Pippo, Boogie Woogie and Rock’n Roll Crash Course, oriental fairytale tent, wine tasting, tours, dreamcatcher tinkering and flower arrangements, circus and nature rallye, BeeAlive as bee-savior, wheel of fortune, fashion -Apero, Pavillon der Kulturen bis (Um) Styling and Nassra sur live, … This and much more is offered by cultural professionals, gastronomy and the retail trade. We wish you a fun evening – enjoy the free cultural program and the many promotions of the retail and gastronomy. Have fun on your discovery tour and until the fireworks at 11 pm in the moat. Your cultural office of the city Mindelheim.